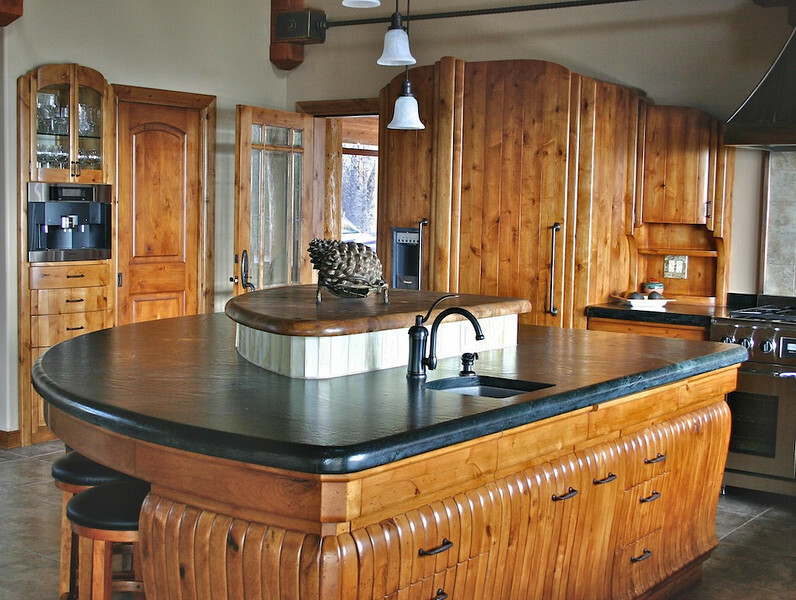 This kitchen rethinks traditional construction, to achieve a completely unique, yet traditional look. 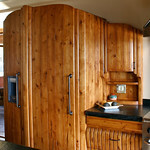 It is somewhat of a blend of asian, deco, and craftsman forms. 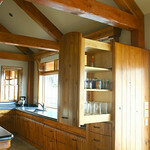 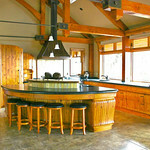 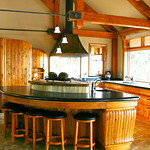 The owner was looking for something different that would compliment the rustic, post and hammer-beam construction. 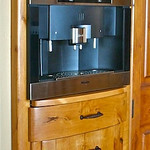 All the base cabinet aprons are functioning drawers, even at the bar overhang (yes, they are pie shaped). 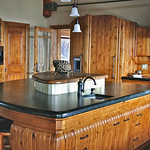 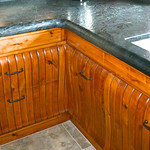 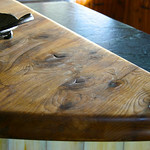 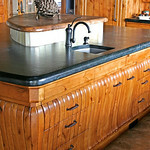 That's textured soapstone, used for the countertops. 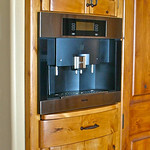 Backlit artglass adorns the island curb, and the back of the glassware cabinet (above the coffee maker). 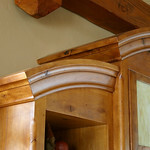 We splayed the freezer and fridge apart at the front, so that we could curve the front (the large center stile is stationary). 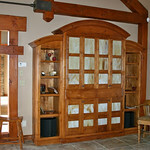 We also created a profile design for, the baseboard and casings to go with the cabinetry.